The pathology reports for those who suffer from breast cancer usually include certain information concerning the stage of the actual cancer. That kind of information usually includes the limitations of the cancer, whether it has spread to other parts of the body and so on. The stages of breast cancer are commonly expressed as numbers. The stage of the actual cancer can be determined by certain characteristics such as whether the cancer has spread to other parts of the body beyond the breast, whether cancer is in the lymph nodes, whether the cancer is invasive or non invasive, and the size of the cancer. When the cancer is referred to as distant, that means that it can also be found in other parts of the body. Regional breast cancer is the one that has spread to the lymph nodes in the armpit. 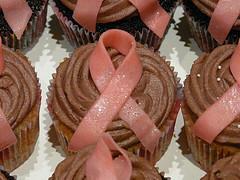 Local breast cancer is confined within the affected breast. Breast cancer may also sometimes be referred to as regionally advanced or locally advanced, which means that it involves visible lymph node enlargement, changes to the breast’s shape and tumors in underlying chest structures or the breast skin. One needs to be well informed about the stage of the breast cancer in order to have a better understanding of the most likely outcome of this dreadful disease. Stages also determine important options when it comes to treatment plans. There are certain situations in which the doctors use a different staging system for the description of individual cases of cancer. This system is referred to as TNM and it stands for tumor (T), lymph node involvement (N) and metastasis (M). Stage 0 defines the least dangerous type of breast cancer, which is the non invasive one. In most cases it is ductal carcinoma in situ or DCIS, as it is commonly referred to. This stage of breast cancer involves no cancer cells or any other types of abnormal cells. All different sorts of invasive breast cancers start with the stage I. This means that the cancerous cells invade the normal, healthy tissue which surrounds them. Stage I commonly does not involve any lymph nodes but it involves tumors which may be up to 2 centimeters big. Microscopic invasion can occur in the first stage of breast cancer and if it does, it involves cancer cells which are not bigger than a millimeter and their invasion on the tissues outside the lobules or ducts is usually just started. As far as stage two goes, there are actually two subcategories, which include stage IIA and stage IIB. Stage IIA is commonly used to describe tumors which are larger than 2 centimeters but are not larger than 5 centimeters and which have not spread to nearby lymph nodes. This stage of breast cancer may also involve tumors which are not larger than 2 centimeters but did spread to the nearby lymph nodes. Stage IIA may also refer to cases of breast cancer which involve no tumors in the breast but in the lymph nodes themselves. Stage IIB of breast cancer involves either tumors larger than 5 centimeters which have not spread to the lymph nodes or tumors which are between 2 and 5 centimeters big but which did spread to the nearby lymph nodes. Stage III of breast cancer is further divided into three subcategories which include stage IIIA, stage IIIB and stage IIIC. Stage IIIA involves either no tumors or tumors of any size accompanied by cancer cells in the lymph nodes which are clumped together. Stage IIIB is in most cases used for the situations in which the cancer has spread to the skin of the breast, the lymph nodes near the breastbone or perhaps the chest wall. This stage is usually the one most often associated with inflammatory breast cancer which is characterized by warmness, swelling and reddening. Stage IIIC of breast cancer commonly involves cancer cells which have spread to nodes near the collarbone or the breastbone. Stage IV breast cancer is used for the cases in which the cancer cells have spread to the brain, liver, skin, distant lymph nodes, lungs and other organs of the body. Those who are diagnose with ductal carcinoma in situ or DCIS should not worry much, because most cases get cured completely. More than 90 percent of persons affected by stage I breast cancer live for more than 5 years and more than 85 percent of persons survive for more than 50 years. In cases of people affected by stage II breast cancer, there are more than 60 percent of them who live for more than 10 years. There are approximately 40 percent of people affected by stage III breast cancer who manage to survive for more than 10 years.